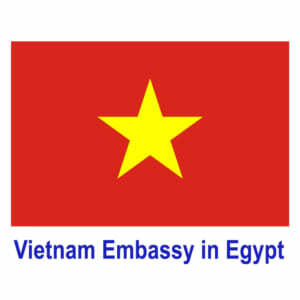 Cairo (VNA) – A delegation of the Party Central Committee’s Commission for External Relations led by its Chairman Hoang Binh Quan paid a working visit to Egypt from November 16-17 to strengthen cooperation between the two countries. At a meeting with the Egyptian Prime Minister Sherif Ismail in Cairo on November 16, Quan said that Vietnam appreciates the position and role of Egypt in the Middle East and North Africa, and the two countries see great potential for collaboration. The two sides agreed to increase delegation exchanges, especially among businesses, to further boost bilateral cooperation in all fields, including oil and gas, tourism, fishery, telecommunication and fertiliser. They also suggested the two governments organise the fifth Vietnam-Egypt joint committee meeting in Hanoi as soon as possible. On the same day, the Vietnamese official met with Ahmet Bin Hali, Deputy General-Director of the Arab League, to discuss the possibility of cooperation between Vietnam and the league’s member nations. According to Vietnam’s Trade Office in Egypt, two-way trade climbed from 187 million USD in 2010 to nearly 400 million USD in 2014. Of the figure, Vietnam’s export value was 380 million USD.